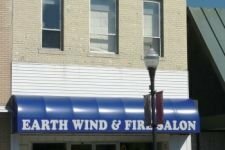 Earth, Wind, and Fire is a full service salon specializing in cuts, colors, and curls. Each hairdresser has their own styling room, letting you get beautiful without the pressure of on-lookers. Plus they’re one of the few salons in the area open on Mondays!